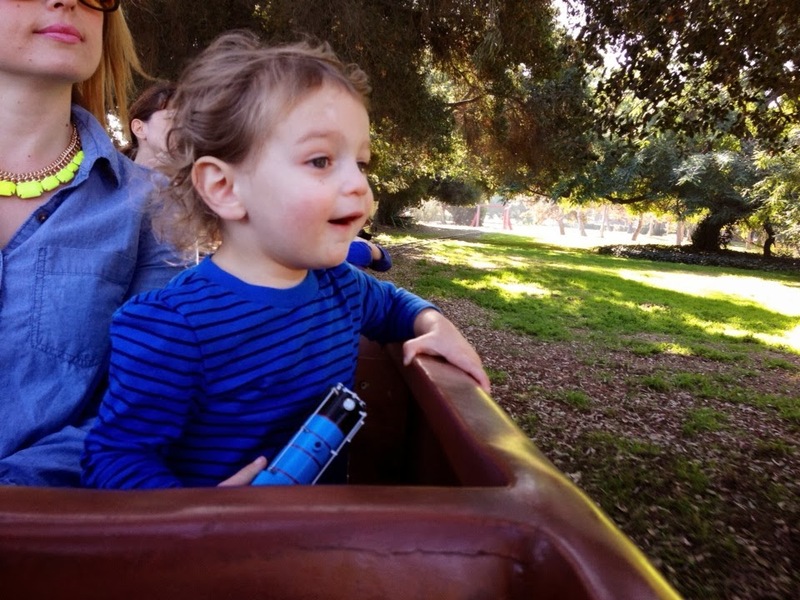 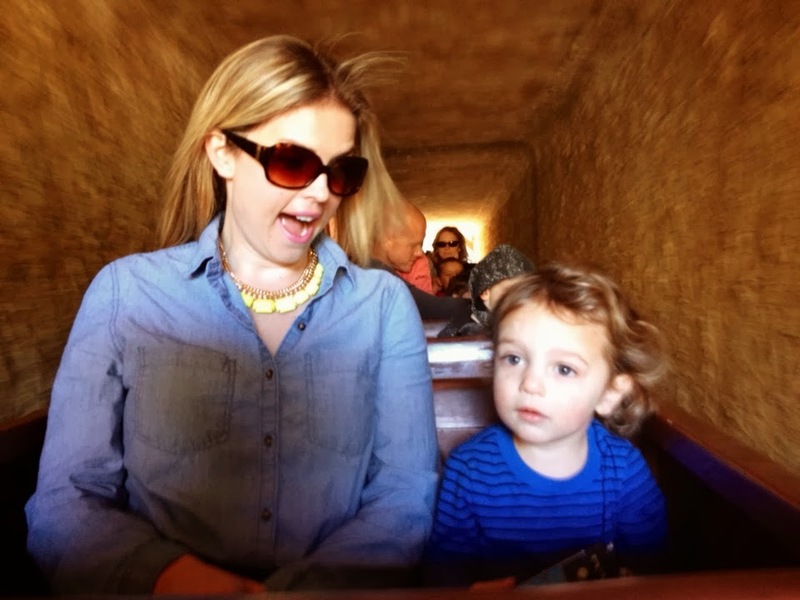 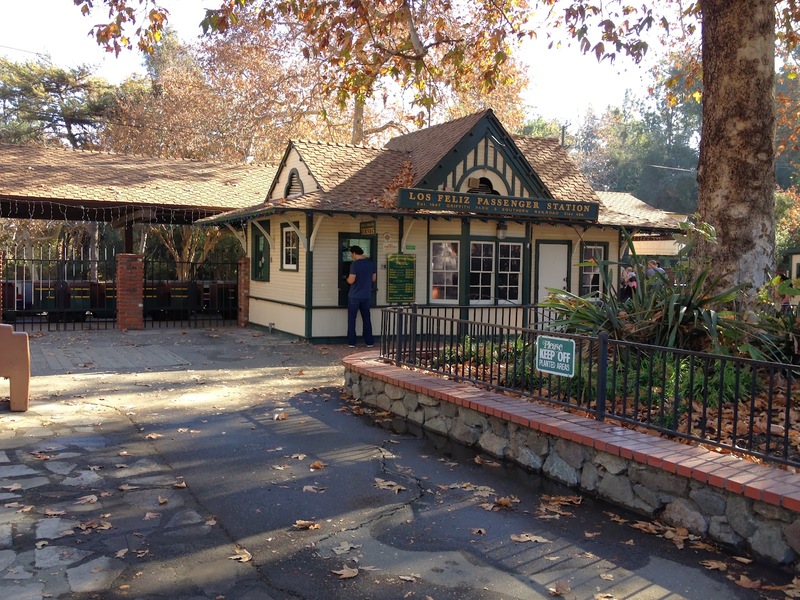 Earlier this week we went to ride the train at Griffith Park. 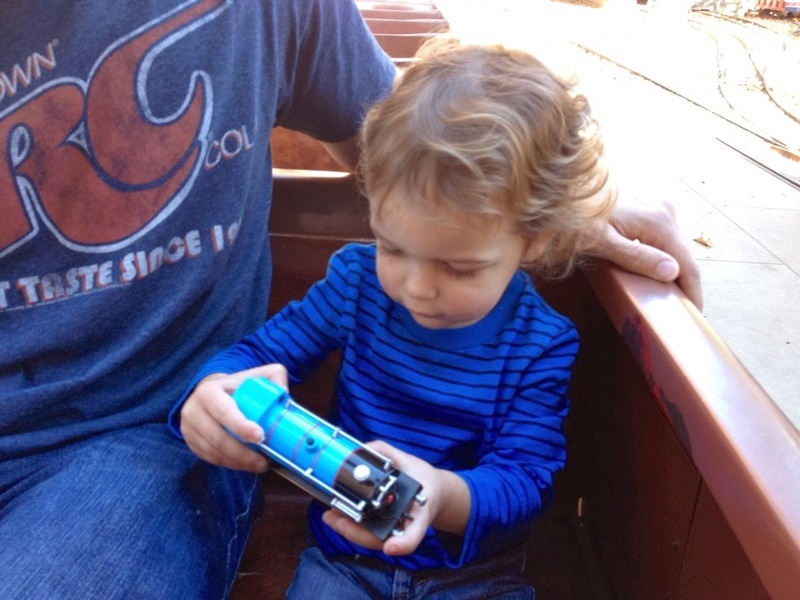 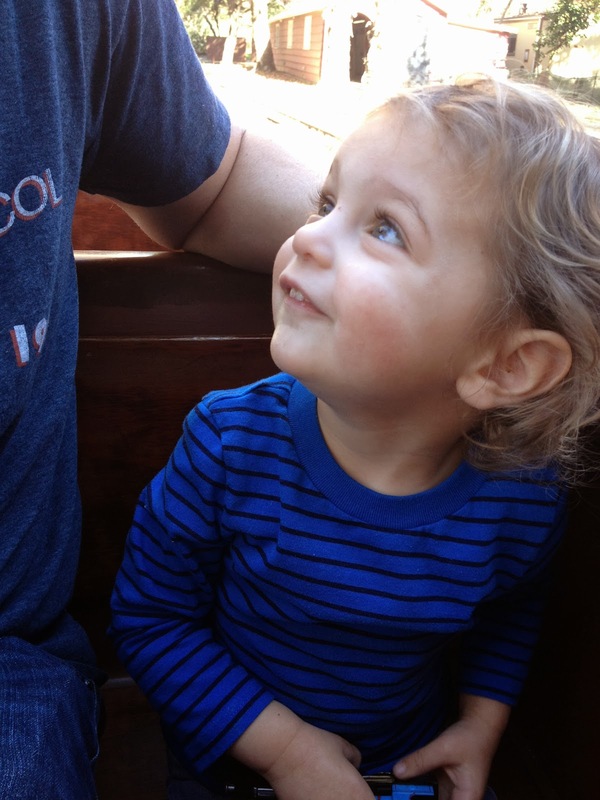 Hudson's been super into trains, and he loved the train ride this time more than ever. 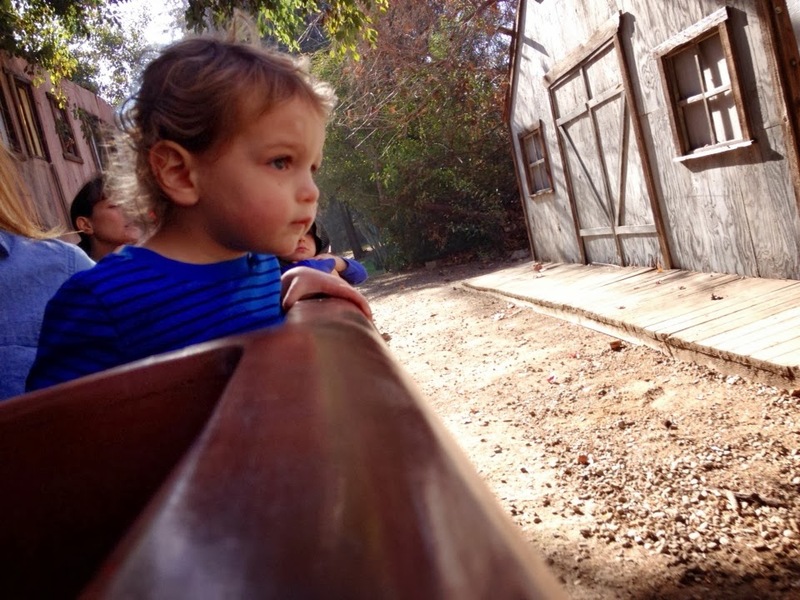 We took two trips. 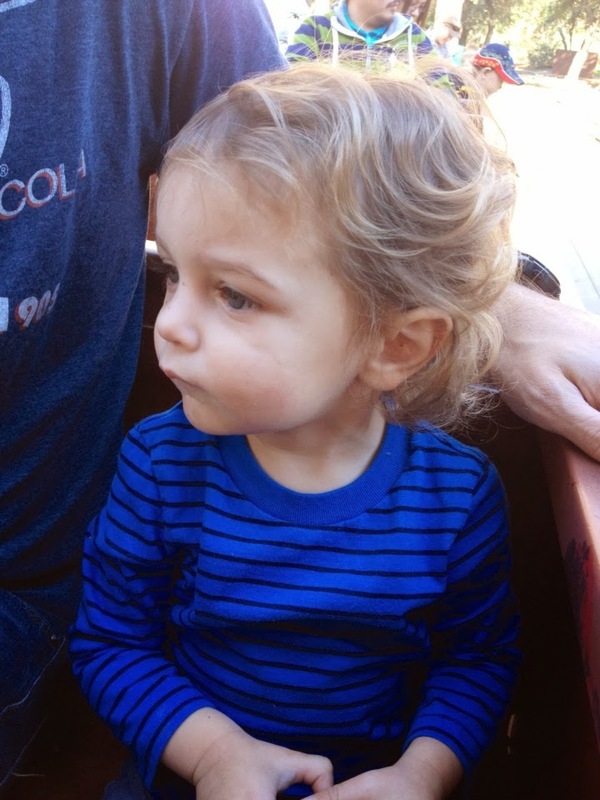 For the first ride, he sat by Nathan and sat on the bench all by himself. 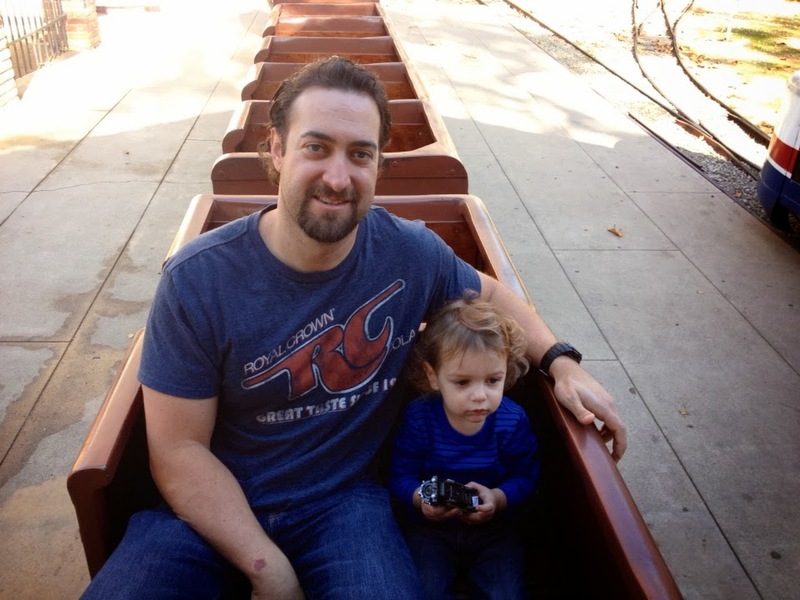 Six months ago when we did this ride, Hudson was a little more afraid and wanted to sit on Nathan's lap, but it was so cute to see him sitting all on his own like such a big boy. 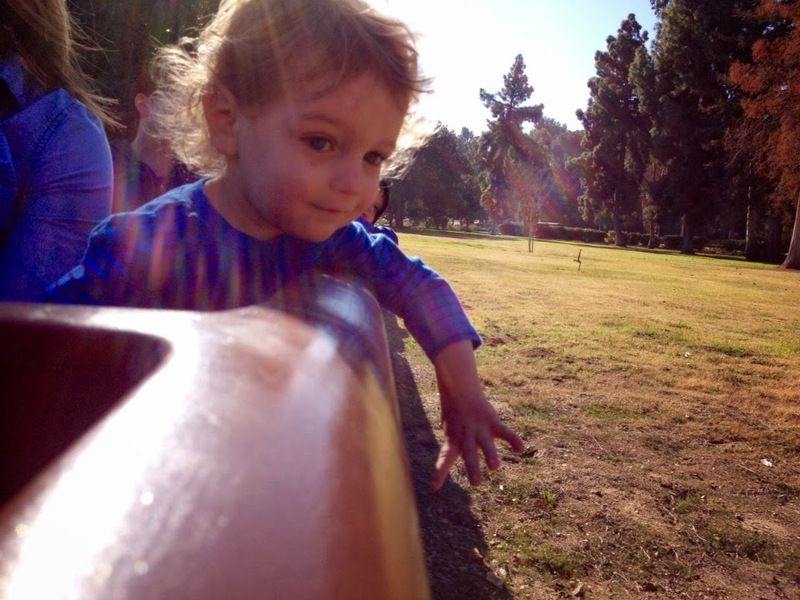 He didn't sit for long though. 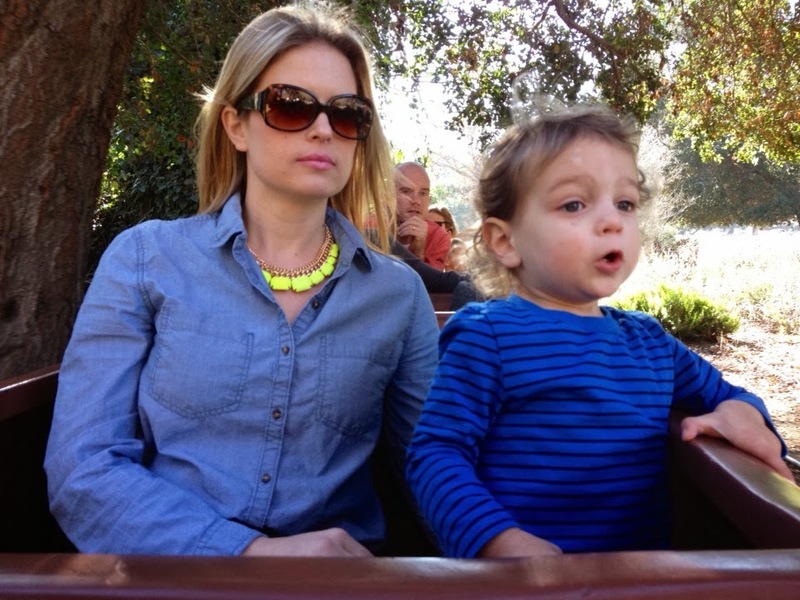 Once the ride stared, Hudson could not contain his excitement and stood up eagerly looking ahead, to the side and every once is a while he'd go "choo choo."